Whether you’re a local or just passing through the beach town of Tamarindo here’s some fun ideas on how to spend your weekend. A little bit of food, a little bit of booze, a little bit of dancing, and a lot of new memories! So you just arrived, the sun is setting, you grabbed some food and you’re energized for a fun night. Want to escape the usual Reggaeton music? 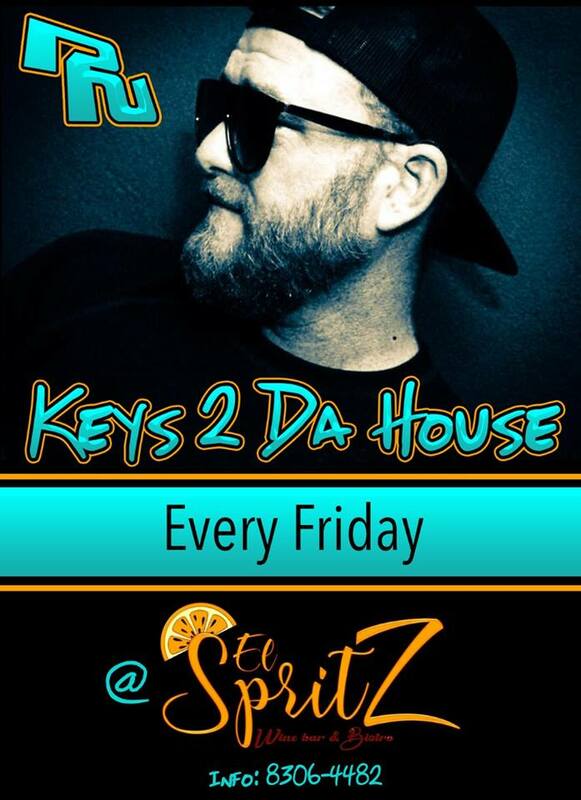 Come spend Friday night at El Spritz and listen to DJ play amazing hip hop and house tunes. Awesome vibes, great drinks, and even better music! So you’ve skipped breakfast and slept in because you’ve exhausted yourself dancing all night at El Spritz. Don’t be so hard on yourself. Jump in the ocean before you indulge in some grub. 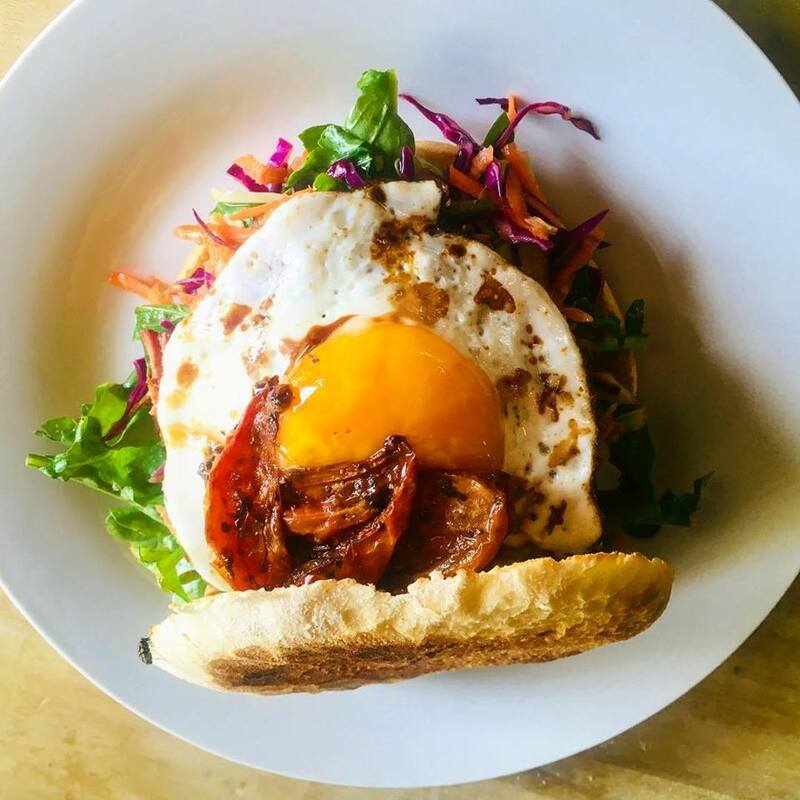 Looking for a solid sandwich to give you energy to survive the tropical Costa Rican heat? Masa Madre Bakery is the place for that. From massive egg avocado sandwiches, pulled pork sandwiches, quiche, and the BEST pizza in town, Masa Madre always delivers. On your way out the door satisfy your sweet tooth with a chocolate croissant. Fran the owner loves hugs. Check out their instagram beforehand to entice your tastebuds. Schedule in a sunset surf lesson with Elias, the owner of S.A.L.T to finish off the day before you gear up for your night out. This surf school caters to all levels and you can truly see Elias’s passion for surfing through his teaching. 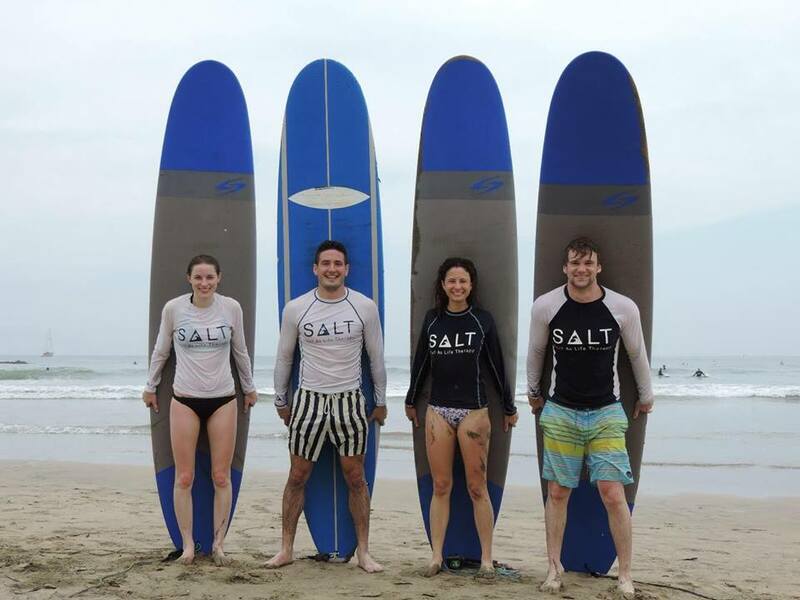 SALT offers the best experience on private and groups surf lessons , surf trips, boat trips, surf camps, photos and video analysis for beginners, intermediate and advance level as well. Schedule your lesson here. If theme parties, music, and great drinks are your thing, then Wild Night’s Tamarindo at Pacifico Bar is calling your name! Every week there is a different theme from black and white parties, to Hawaiian themes, and even an ice cream party (yes, ice cream at a bar) just to name a few! 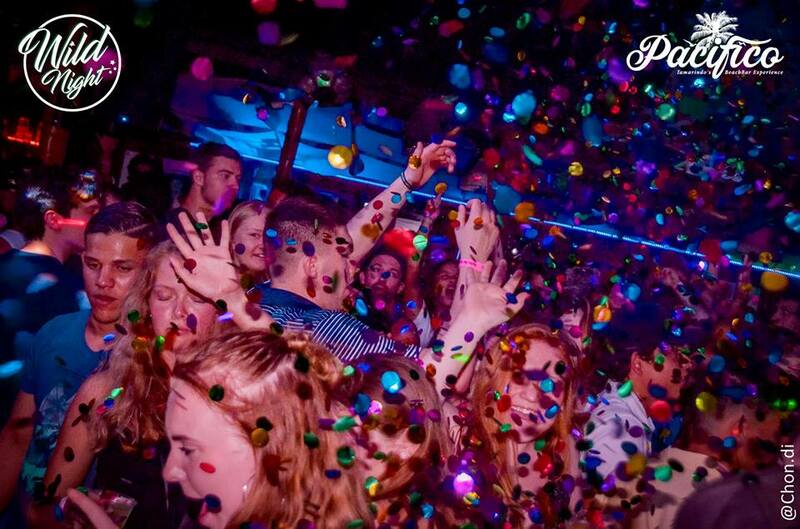 It’s the BEST spot in town on Saturday nights. Follow their facebook page for updates on the upcoming parties. So you were a semi responsible human and got a little bit more sleep after your night out. Well done. Now let’s talk brunch. This awesome restaurant is right on the main street! You can have an amazing cup of coffee (the best in town) while you eat brunch and people watch (who doesn’t like to people watch). 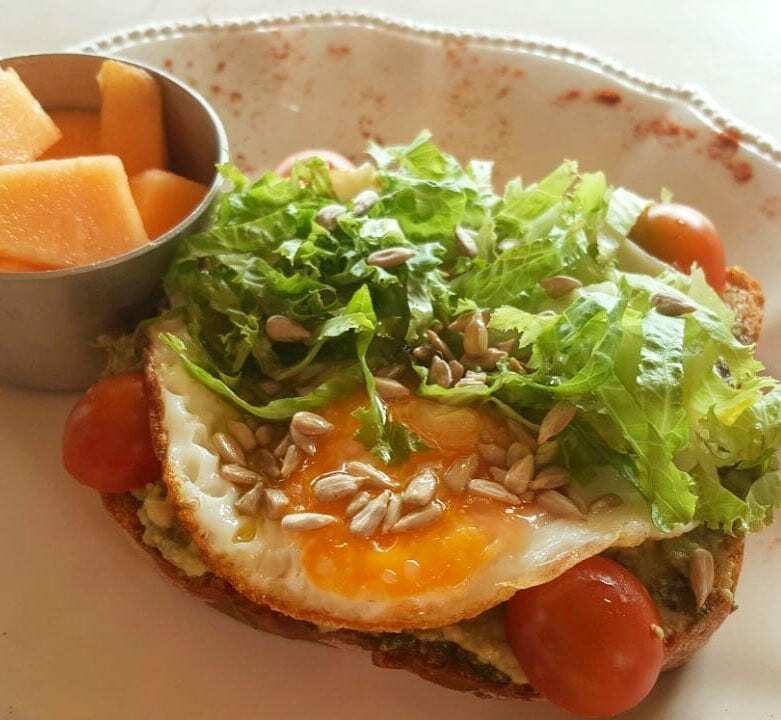 Go for the avosmash and an iced coffee! The sandwiches are yummy too and come with delicious fries (or salad for the healthy ones). This is rated #1 on trip advisor for things to do in Tamarindo. 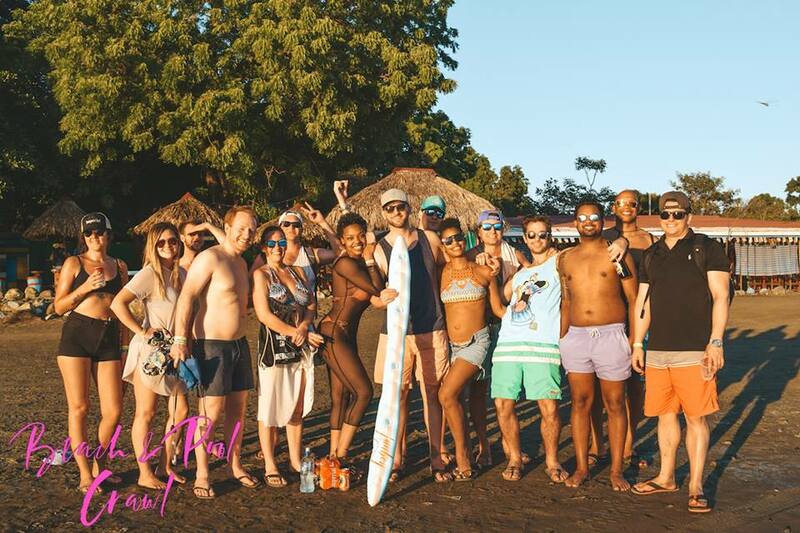 Everyone meets at Sharky’s Bar in Tamarindo every Sunday for a pre-party between 12:00-1:00pm. Once you had a few beers and mingled with fellow crawlers you make your way on an old American school bus. Tunes are blasting and you get to know your neighbors as you drive out of town to explore 3 amazing secret spots. There are pool parties with a DJ, beach volley ball and margaritas with live entertainment, and you end the epic day watching the sunset with your new friends with a blazing beach bonfire in the background. The party doesn’t stop at sunset! The bus ride back is the best dance party and the highlight of the day. Go to the website at www.beachandpoolcrawl.com to purchase your tickets. So there you have it folks. Food and parties. You can’t go wrong with this list! If you’re here solo, with your significant other, friends, or family one or all of these will bring you joy!